When you have water damage, we arrive as soon as possible, remove the water, dry the area, and then the routine is restored. Water loss incidents can spread quickly throughout your Mountain Home hotel, which in turn can affect multiple areas simultaneously. The only effective way to reduce costs in restoration and mitigation for a substantial water loss incident is to respond to the situation quickly by reaching out to our professionals. Our team has a 24-hour response to emergencies, making us able to handle large loss recovery situations like this by working immediately to thwart their spread throughout the building. There are many effective strategies for water damage mitigation in your Mountain Home hotel, and our professionals can work quickly to get them started upon our arrival. With our vast inventory of extraction and drying equipment, we can effectively handle even widespread effects that impact large portions of your hotel simultaneously. Our mitigation efforts begin with effective extraction equipment designed to remove pooling water and oversaturation quickly to reduce distortion of construction materials that lead to required removal and replacement. Drying is one of the most efficient ways to prevent catastrophic loss with a considerable volume of water spreading throughout the property. The use of air movers, LGR and desiccant dehumidifiers, and our Injecti-dry system can help to curb the spread of the damage while protecting exposed elements. Air movers can get installed in many places throughout the hotel to begin forcing heated air into many areas and saturated materials. These machines force moisture into the environment, which then our effective dehumidifiers capture and remove from the vicinity. While substantial water damage incidents that occur in your hotel tend to require some degree of tear our and reconstruction, the faster that our SERVPRO professionals can get to work on drying efforts, the better able to prevent this reconstruction and renovation we become. We strive to provide fast service and mitigation work that lowers restoration costs and makes the process more efficient. Whenever disaster strikes, you can trust our SERVPRO of Wood River Valley response team to bring the full measure of our extraction and drying equipment to make it “Like it never even happened.” Give us a call today at (208) 788-0183. Visit the Desert Canyon Golf Course click here for more information. Flooding can occur from multiple sources from storm damage to your Mountain Home residence through rising creeks and streams that can pour into the lower levels of your property. No matter what the immediate cause of the disaster is, finding the right professionals to get mitigation work started is vital to ultimately save you money and time on completing the restoration to come. Our professionals have a quick response to emergencies, and our team is ready to roll out from our facility at a moment’s notice with the effective equipment that can make a substantial difference. 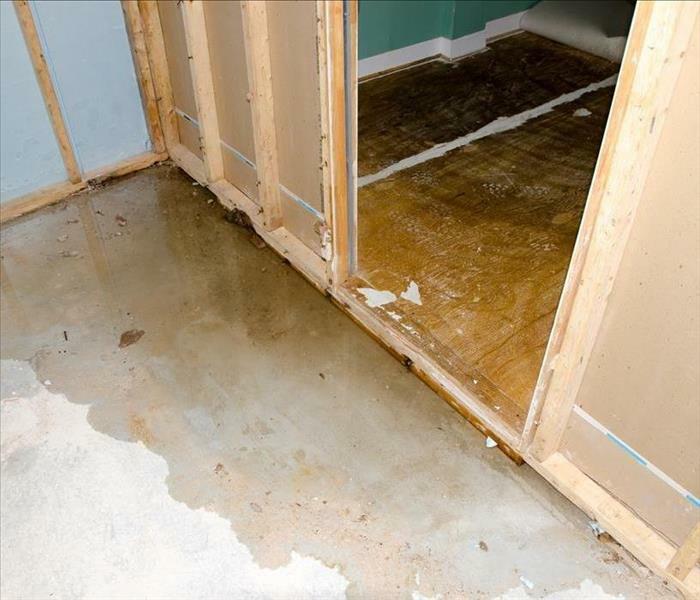 Flood damage in Mountain Home can appear in many ways throughout your residence, from pooling water in specific areas of the property through a heightened possibility of effects like mold growth. Addressing all of these concerns is part of the rapid response that our SERVPRO team provides to every customer facing an emergency. 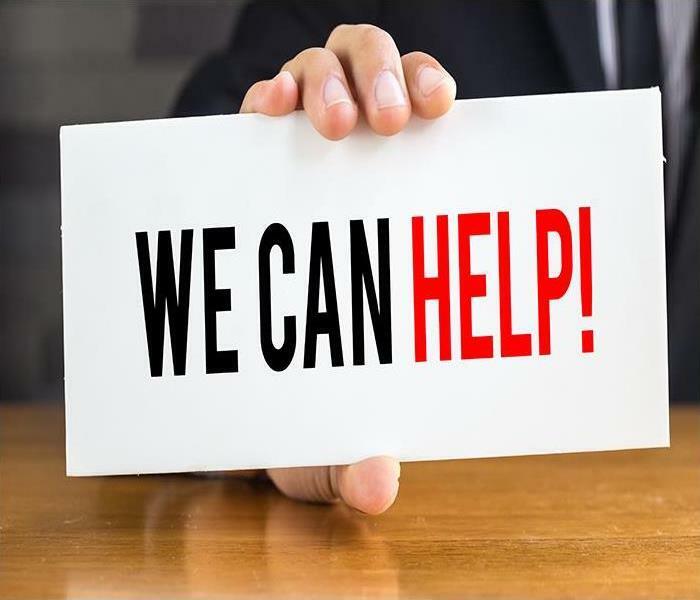 We have effective mitigation strategies that can protect your investment in your house as much as possible while working to help later restoration efforts to be more efficient. From the time that our professionals arrive at your home, much of the damage has already occurred and continued to spread throughout the property. Containment and damage assessment are the starting points for our mitigation work, as with the right approach to limit the spread of the damage, our SERVPRO team can help to keep areas of your home unscathed by the water. Extraction is a vital component to flood mitigation as well, and we have several tools that can make this process go quickly. From truck-mounted and gas-powered pumps to portable sump pumps and wet-vacs, our team has all of the necessary tools to remove excess water effectively. Once this stage completes, we can get right to work on drying out the damaged areas with our air movers, dehumidifiers, our injecti-dry system, and other advanced technology. We work to provide fast and effective mitigation services when you need them the most. If you are contending with flood damage, give our SERVPRO of Wood River Valley restoration specialists a call at (208) 788-0183. Click here for more information about Mountain Home. Just give us a call at (208) 788-0183 as soon as the fire is out so we can help you erase the effects of the fire to your home. Fires in home workshops and garages in Burley are a serious matter. Both usually contain various flammable materials, such as greasy rags, sawdust, paint thinner, gasoline, and wood. Many times, workshops and garages also contain a heat source like a furnace or water heater which can help ignite a fire. The best thing you can do is to keep these areas of your home as fireproof as possible. When a garage or workshop fire has broken out, you need assistance cleaning up the fire damage in your Burley property. SERVPRO has professionally trained staff who can come in quickly to assess the damages, clean up the mess, and restore your structure so you won’t be able to tell the disaster even happened. Practicing safe habits in your workspace area is essential. When you sand, or cut wood, sawdust, and wood chips are created. These tiny pieces are a lot more combustible than larger boards of wood. Always sweep them up to eliminate a significant fire hazard. Oily rags should also be disposed of properly, as they can spontaneously combust. Placing them in a steel bucket with a lid that self-closes is a safe choice, or you can hang the rags in a single layer to dry on a line. Always keep them away from fire and heat sources. Before SERVPRO techs begin cleaning your structure, we test the area to determine the appropriate cleaning method. We need to use the one that effectively removes the residues from the material or surface that was damaged by doing more damage to the material or surface. Some materials are washable, which means they can be wet cleaned applying a water-based cleaning product that won’t damage the material. Non-washable materials cannot be wet cleaned, as it could damage them, so instead, we use a dry cleaning method. You also need to keep combustible items away from regular sources of heat like boilers, space heaters, furnaces, and water heaters. Keep flammable products like spray paint, wood finishes and paint thinner in a dedicated storage container with a door that closes. Lastly, keep a fire extinguisher in the area, and make sure you have smoke alarms installed. You may even want to install a sprinkler system. SERVPRO of Wood River Valley is skilled and cleaning and restore your home in Ketchum, Sun Valley, or Hailey after a fire. Just give us a call at (208) 788-0183 as soon as the fire is out so we can help you erase the effects of the fire to your home. Click here for more about Burley. SERVPRO, in Burley Properties, Mitigates Water Loss--Fast! Human error can attribute to many of the damages that your home could sustain throughout its lifetime. Something as basic as overfilling a bathtub on the second floor of your home could allow for widespread water damages to occur not only in that upper bathroom but to the first floor of your home and surrounding areas upstairs. Finding the right professional cleanup is critical in these situations, as often conventional drying methods can prove ineffective to substantial water loss incidents. As potentially damaging as this situation can be for your Burley residence, acquiring the right water removal and restoration technicians quickly can help to preserve and protect exposed structural elements as well as damaged contents of your home. Our SERVPRO professionals can help with everything from water extraction from the tile and carpeted areas of your bathroom and adjoining rooms and hallways to drying out affected spaces of your home with our advanced equipment. Extraction is vital to begin immediately after a water loss incident, as exposed materials begin to absorb spreading water right away. The longer that these elements remain saturated, the less likely they become of getting restored instead of removal and replacement. Additionally, the faster that our recovery team can arrive at your home, the faster that your house can get restored fully. Moreover, We're Faster To Any Size Disaster. Tilework in your bathroom was designed to resist water penetration, but the grout joints are more susceptible to direct impact from pooling water. While the tiles themselves might not become saturated, water can penetrate beneath them to affect the subflooring and even the ceiling of the floor below. We can work in the bathroom area with drying mats, as well as use our injecti-dry system on the floor below to affect the heavy saturation that this space between levels of your house has experienced. This system can also be deployed to dry the wall cavities behind the sink cabinet. Human errors can create many damaging situations for your property, but our SERVPRO of Wood River Valley rapid response team can help. Give us a call anytime at (208) 788-0183. Give us a call at (208) 788-0183. When it comes to disasters that can threaten your Burley home, many of these situations result in a finite timeline between the preservation of damaged areas in the house and the need for costly demolition and reconstruction. Water loss incidents are a great example of this, as construction materials exposed to spreading water damage can often get preserved and restored when experienced and trained technicians can get to the problem areas quickly enough. With a damage timeline well established to begin water cleanup in your Burley home, failing to reach these deadlines can result in widespread structural concerns and a need for reconstruction. Drywall is often one of the materials to get exposed to spreading water damage, and also has a unique property to wick up moisture around it to saturate it even worse. From the point of exposure, drywall can swell and become unsalvageable in as little as one full day. Reaching out to professionals like our SERVPRO team can help to protect damaged areas like this when possible. Our team offers a fast response to emergencies to help save our customers money. Experienced technicians remain available 24/7 to offer effective and immediate mitigation strategies such as drying and extraction efforts to help protect exposed materials like the drywall in your home. We have tools that can help to determine moisture pockets and direct our technicians on site where to best place our drying equipment to maximize results as quickly as possible. Another way that our SERVPRO professionals work to preserve drywall when possible is to eliminate moisture in wall cavities. This solution involves either flood cuts in the drywall to remove areas too saturated to save and drying efforts with our air movers, or the use of our injectidry system which feeds hoses in through drilled holes behind the baseboard of affected walls. Drywall is a common structural element for your home and one that can quickly become damaged under the right conditions. Let our SERVPRO of Wood River Valley rapid response team help you to clean up the mess and dry up these damaged elements quickly. Give us a call at (208) 788-0183. Don't Hesitate When Your Office Building In Burley Experiences A Water Damage Disaster! 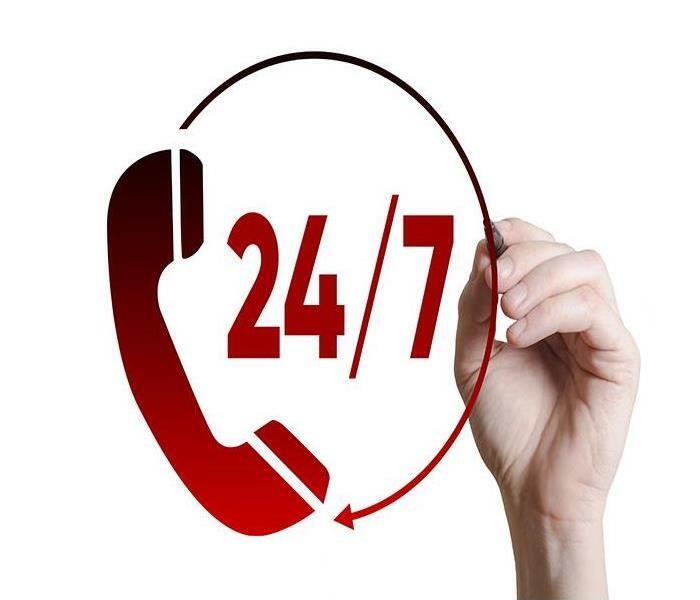 You can reach us anytime that you need us! Your Burley office building requires upkeep and maintenance to stay operating at its optimal levels. While cleaning and maintenance become routine, disasters can occur that threaten the investment that you have made aesthetically in the office, not to mention preventing your employees from returning to the facility until the damage has gotten restored. 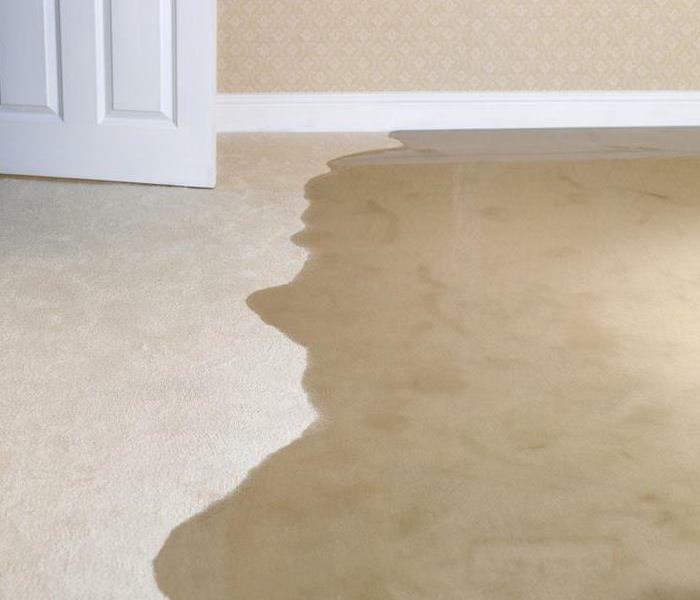 Your carpeting throughout the building can often absorb the worst of water damage, and it requires our advanced equipment and expertise to prevent large scale tear out and replacement. While sometimes water cleanup for your Burley office is little more than using a mop and bucket, many situations require more advanced equipment and approaches than this conventional cleaning method. Our SERVPRO technicians can arrive quickly to an emergency in your building, offering the full measure of our resources in the Green Fleet of service vehicles for extractions and drying to protect and preserve affected materials. Carpeting is already a magnet for dust, debris, and sediment. These particulates collect around the base of the fibers in the carpet, forming a mat of dirt along the base of your short pile. Cleaning these materials regularly can help to protect them throughout their life and even extend the life of the carpeting in your facility beyond its expectations. Our premier steam cleaning and dry-cleaning services can also bolster the aesthetic appeal of your office building for customers and employees. Protecting your investments in the construction materials of your office building demands a fast response to water damage emergencies. Give our SERVPRO of Wood River Valley restoration technicians the opportunity to show you how our training and advanced equipment can make a positive difference in your building. You can reach us anytime that you need us at (208) 788-0183. 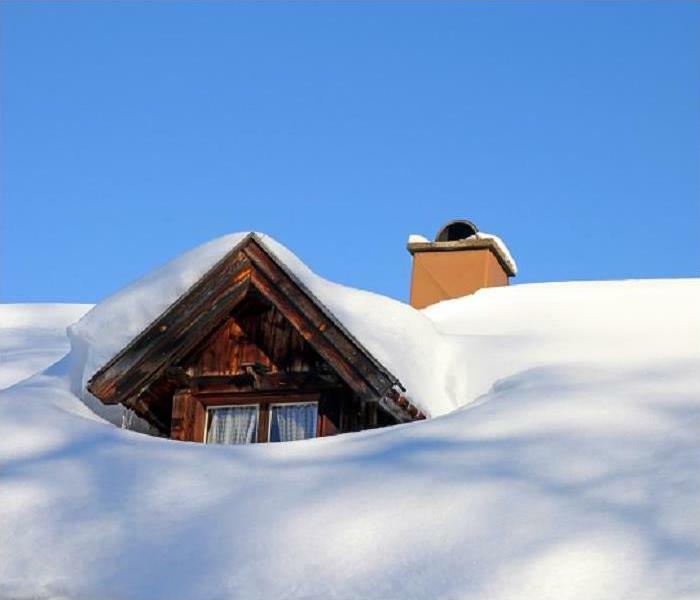 Heavy snowfall can damage roofs, which can lead to water damage in your home. During the winter months, Burley residents prepare for significant snowfall every year. While many of the homes and properties can manage these weather systems throughout one season to the next, aging roofs can begin to show wear and tear from supporting the massive weight of several inches of snowfall on a regular basis. The trouble is that many homeowners do not know about vulnerabilities in their roof until it collapses or fails in some way, allowing flooding to occur through the attic space and into the floors below. Once your roof has allowed flood damage to occur to your Burley home, you want to react quickly to get the right personnel there to help. Our SERVPRO professionals are available any time of the day to help customers through traumatic situations like this with effective mitigation strategies and emergency board up services that can help to prevent further water penetration into the home until it can get appropriately and sufficiently reconstructed. As is the case with any flooding situation, extraction has to take priority along with other mitigation strategies our team utilizes. We can arrive with our Green Fleet, which features a sizable truck-mounted pump capable of extracting water from affected areas at a rate of 300 psi. Once extraction wands have taken care of the rest, our SERVPRO team can focus on drying efforts to protect damaged elements of the home from structural failure and collapse. Meanwhile, other technicians that have arrived with our rapid response team catalog damage to items and contents throughout your home, tagging them for removal off-site. We can carefully remove these belongings from the property and store them in a nearby facility of ours for focused cleaning, drying, disinfection, and deodorizing efforts. Once restoration completes within the home, we can return these items to their original places. While snowfall occurs every year, knowing the stability of your roof and its ability to weather the weight can be critical to preventing flooding. Give our SERVPRO of Wood River Valley rapid response team a call at the first sign of flood damage at (208) 788-0183. Click here for information about the River’s Edge Golf Course. Fire Damage Cleanup For SERVPRO is As Easy as 1,2,3! When your residential fire damage is severe, there's only one company to call to restore the damage - SERVPRO of Wood River Valley! Burley residents have a rich history tied to the Westward Expansion. That does not prevent fires and other disasters from striking area houses, apartments, and condos, however. Burley residents with fire damage need an experienced, trained, and well-equipped service to return their home to its pre-fire condition. SERVPRO restoration teams train to meet industry standards for removal, cleaning, restoring, and repairing both personal and structural property. The physical damage from heat and flames is, fortunately, often limited to only one or two rooms. Affected personal property usually requires disposal either directly from the damage, or because it is more cost-effective to replace the item rather than expend the labor and materials to attempt a repair. For structural property damage, SERVPRO team efforts depend on the material. 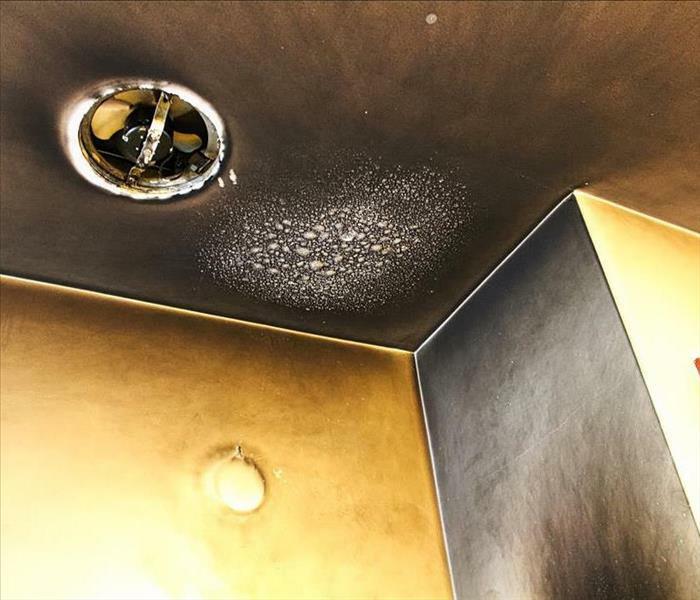 Wall paneling, ceiling tiles, and floor or ceiling trim burn or warp quickly. Sturdier material like wall framing and other, wood supports resist open flames better, so our technicians can often sand down the affected surfaces to forego replacement. What pervades the structure and can affect every exposed item are the residues left behind by smoke and soot. For many residential fires, cleaning up and restoring property is the major cost in labor, cleaning agents, and equipment. If the fire burned quickly and was very hot, most of the residues left are powdery and easier for our technicians to clean using sponges, brushes, and cleaning cloths. For thick layers, they may use a spray bottle with a mild cleaning agent to break up the layers for easier removal. When fires burn slowly, and at comparatively low temperatures, the residues are often very sticky and more difficult to remove. Team members use scrub brushes and powered agitators with stronger cleaning agents to break up the residue layers and remove them from the property without harming the surface. If the residues remained on the property long enough to pit or stain the surface, then disposal is usually the more cost-efficient option. At SERVPRO of Wood River Valley, our goal is to return each home to its pre-fire condition. If you have suffered any damage due to a fire, no matter how small, contact our office at (208) 788-0183 today. We are here for you through each step of the restoration process. For more on Burley, click here. 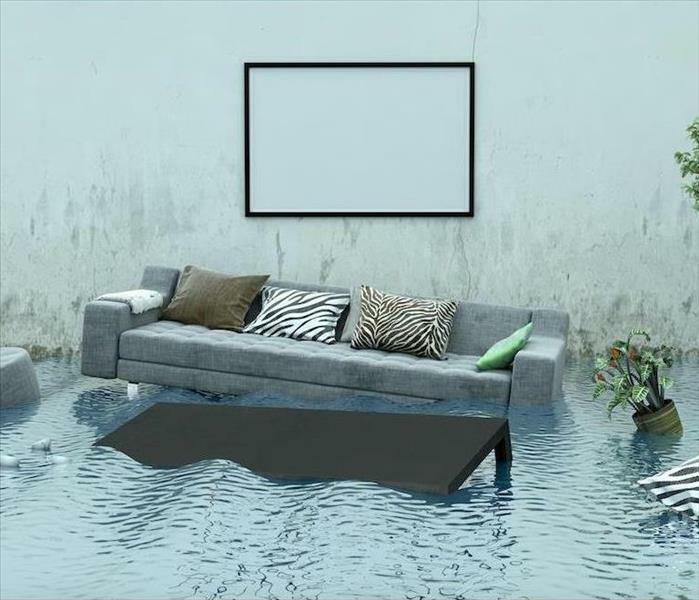 Let SERVPRO help restore your home after water damage. As a homeowner, you work hard to provide your Burley property with all that it needs regarding maintenance and upkeep throughout your time living there. While there might be many threats to the house throughout its lifetime, the right response to these emergencies can help you avoid excessively costly restorations and reconstruction. 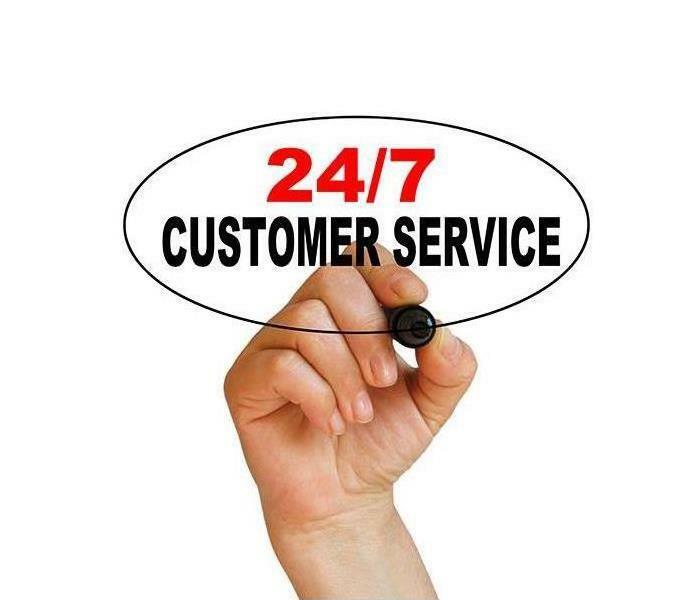 Our team of professionals can help by responding quickly to all of the emergencies we get notified of as quickly as we can, 24 hours a day. Water damage in your Burley home can be particularly harmful without the appropriate steps taken right away to restore and remedy the situation, like our professional water damage cleanup services. Our SERVPRO professionals understand the investment and the importance of your home, so we work to arrive quickly to help protect what matters most to you. From our mitigation efforts like pack-outs and extraction to what must happen to restore your home to preloss conditions, our technicians stay prepared for possible emergencies. Debris and saturated material removal are often components to cleaning up a property following water damage. These activities get determined through our thorough examination of the home in our initial visit. This assessment of the full scope of the damage can accurately determine the personnel required to complete the restoration, the equipment and tools required, and even a rough estimation of the cost to share with your insurance company or the homeowner. Removal of materials is a step that often gets followed by thorough drying of the affected areas of the house. With industry-leading equipment like air movers and LGR dehumidifiers, our SERVPRO professionals can effectively dry out saturated materials, often without the need to remove them at all. While there are many causes of water damage throughout your home, choosing the right team to help you clean up the mess is vital to saving your time and money throughout the restoration process. You can trust our SERVPRO of Wood River Valley rapid response team to react quickly to your call and get our team and equipment to your address to help. Give us a call anytime you need us at (208) 788-0183. Discover the "Silent City" of Rocks, click here for more information. Our SERVPRO of Wood River Valley can help you to protect the unaffected areas of your home and restore the damaged areas to their original condition. With microbial growth in your Burley residence, containment must become a priority. 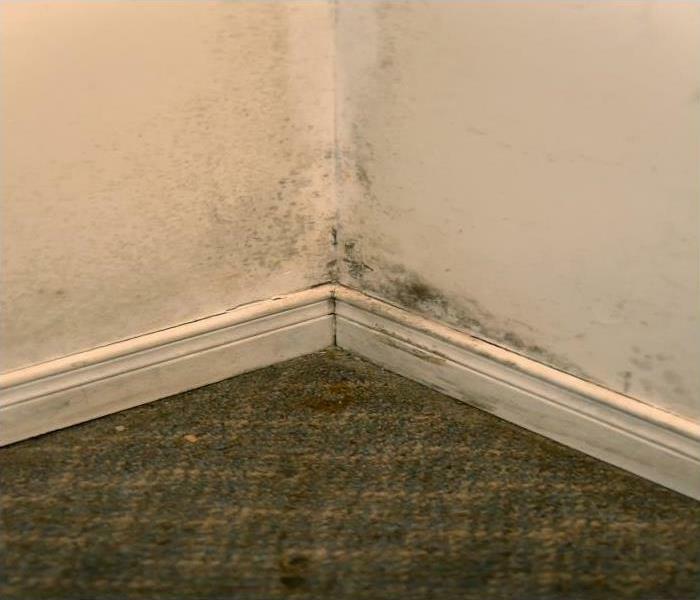 Preventing the spread of a damaging organism throughout your home can help to protect unaffected elements and reduce the overall costs of mold remediation for the property. Our qualified team can help you to isolate the affected area of your property with advanced equipment and strategies, reducing the possibility of mold spores accessing new areas and making the situation worse while our technicians remove the existing mold colonies to return your property to original condition. Mold damage in Burley homes is often misunderstood and underappreciated until the situation reaches a point that it causes structural failures or health effects. Most of these properties could have saved significant time and money by getting the professional assistance they needed sooner, but many homeowners do not fully understand how quickly mold growth can move between surfaces, contents, and entire areas of the home through access to HVAC ducts. That is why when our SERVPRO professionals first reach your property we begin our assessment into the full reach of the organism at that moment. We can determine where other areas of your home could have gotten accessed by the HVAC system and protect these surfaces with the use of antimicrobial spray to prevent mold and fungal growth. The affected materials and areas of your home get quarantined as efficiently as possible. This containment of the organism is only effective if the air circulation in your home has gotten shut off. Physical barriers get installed with thick sheet plastic to keep spores from reaching new areas in the vicinity with the conditions that support their growth. We work inside of this physical containment with negative air and air scrubber machines to improve air quality and reduce the volume of active mold spores and volatile organic compounds to protect our technicians and others in the house while the colony gets removed. Containment is critical to prevent mold colonies from spreading to the point that they get out of control. Our SERVPRO of Wood River Valley can help you to protect the unaffected areas of your home and restore the damaged areas to their original condition. Give us a call at (208) 788-0183. 2/25/2019 - SERVPRO, in Burley Properties, Mitigates Water Loss--Fast! 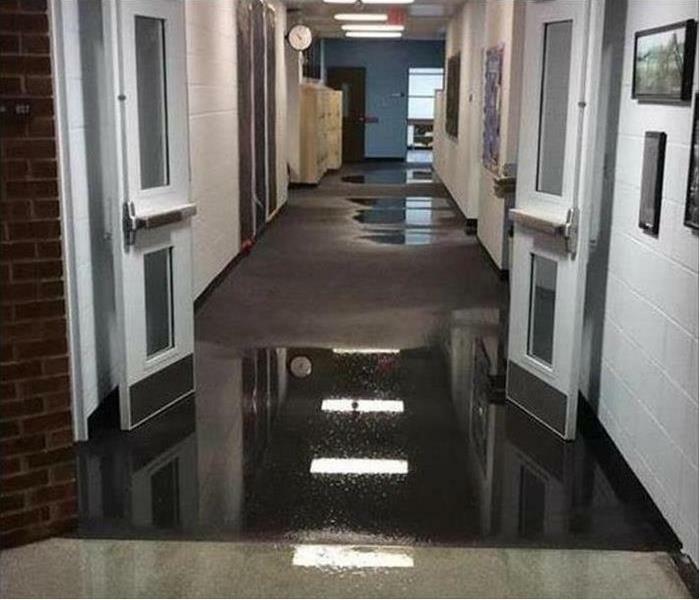 2/5/2019 - Don't Hesitate When Your Office Building In Burley Experiences A Water Damage Disaster! 1/23/2019 - Fire Damage Cleanup For SERVPRO is As Easy as 1,2,3!